Quite often when I took my annual ride to Daytona Beach for Bike Week in early March, I would take a side trip while on the way there from New York. 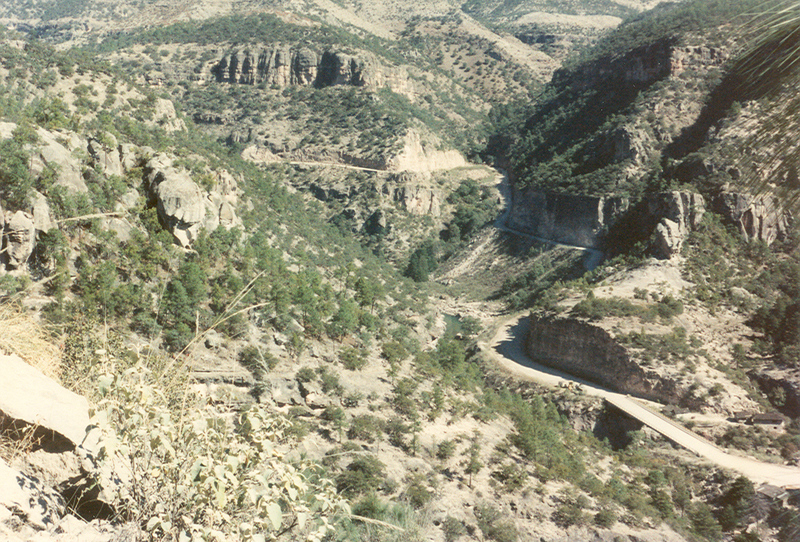 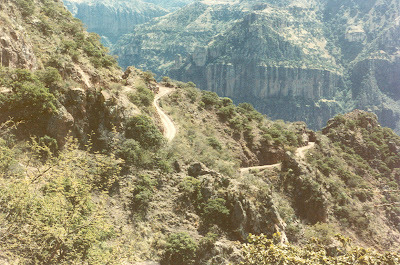 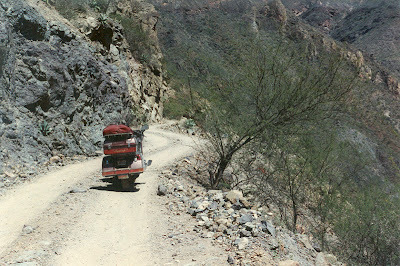 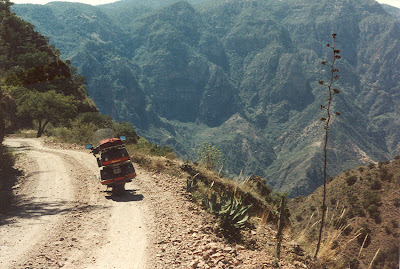 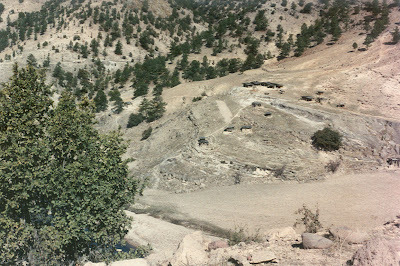 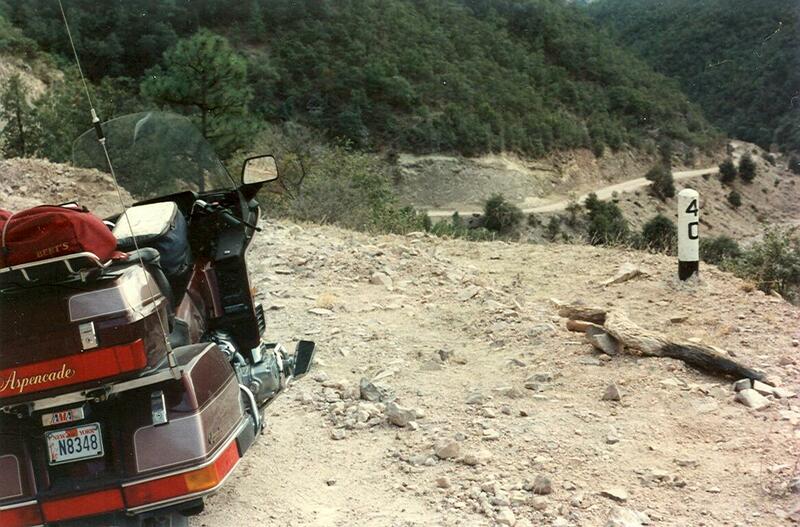 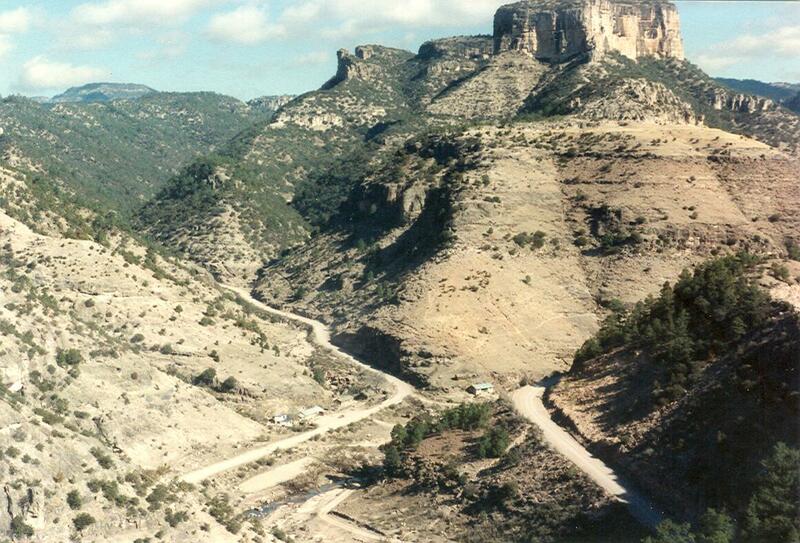 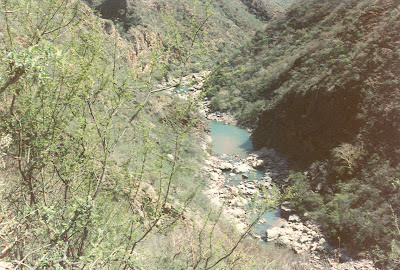 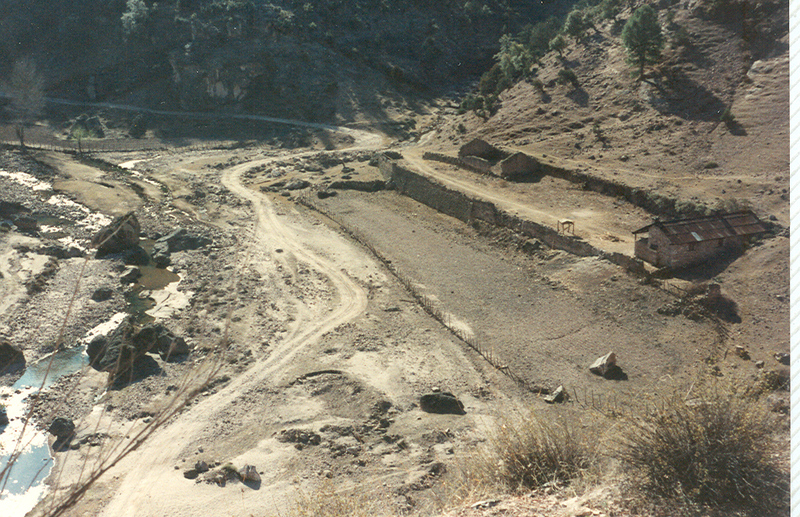 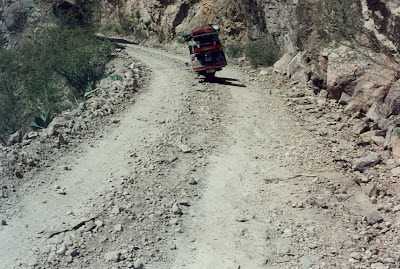 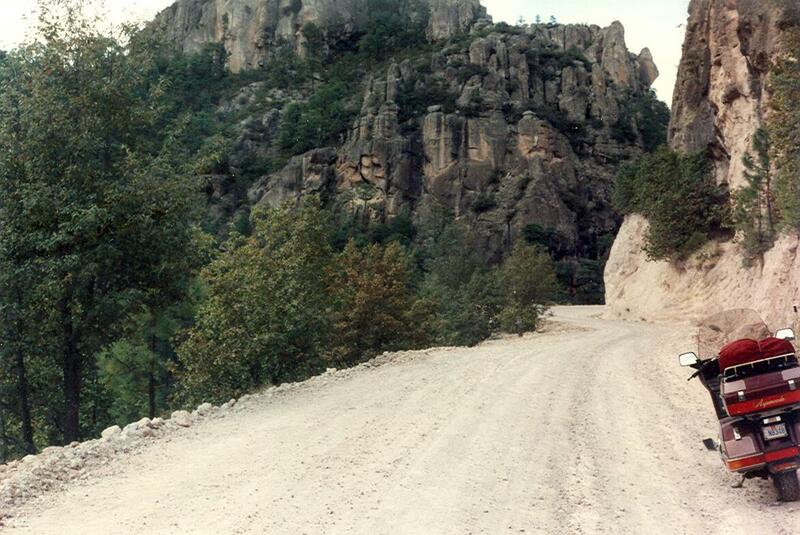 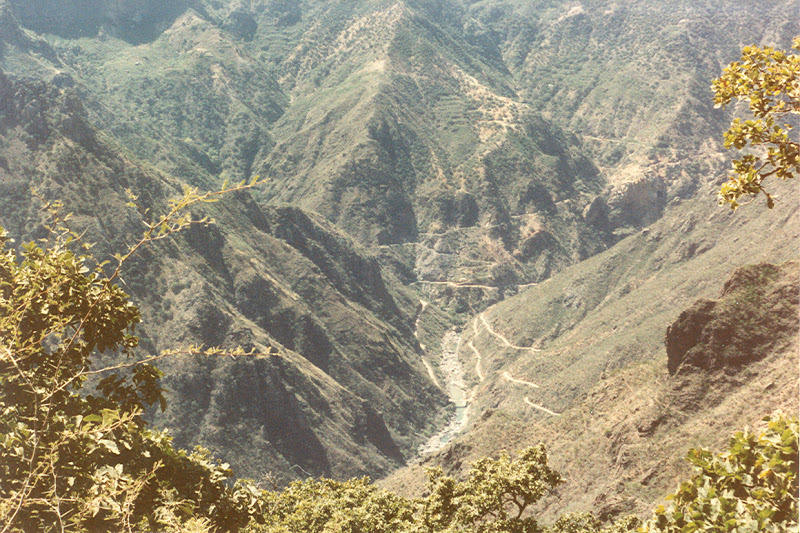 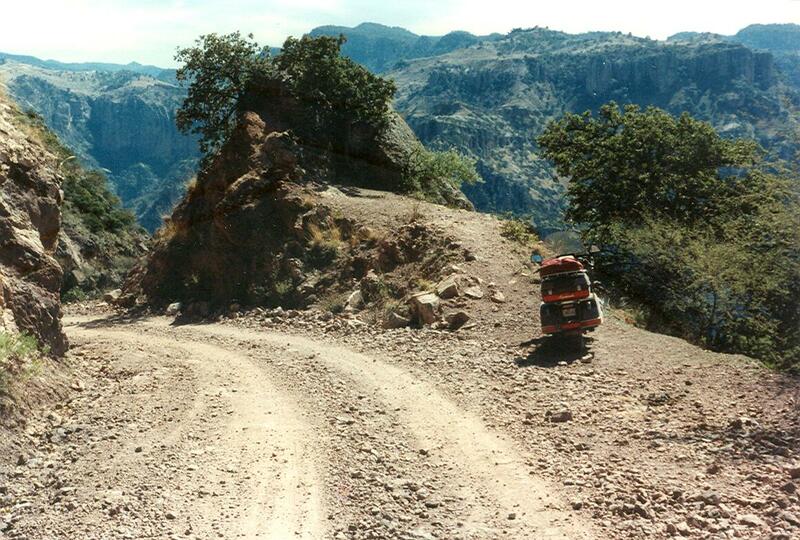 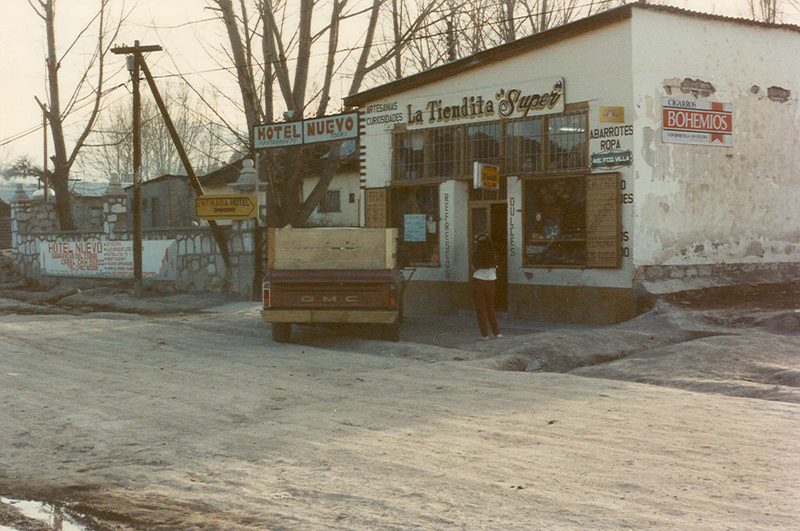 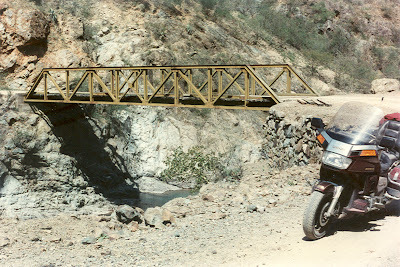 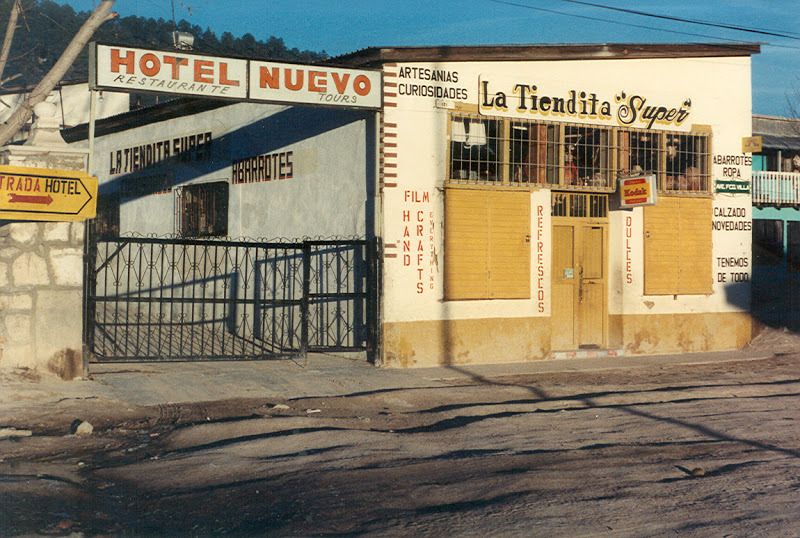 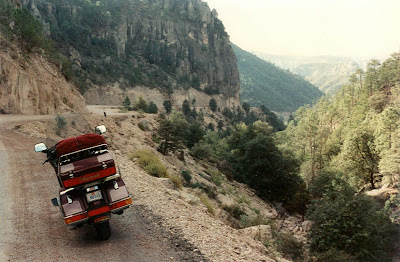 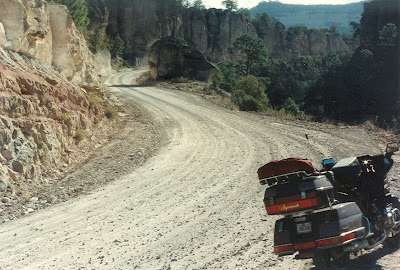 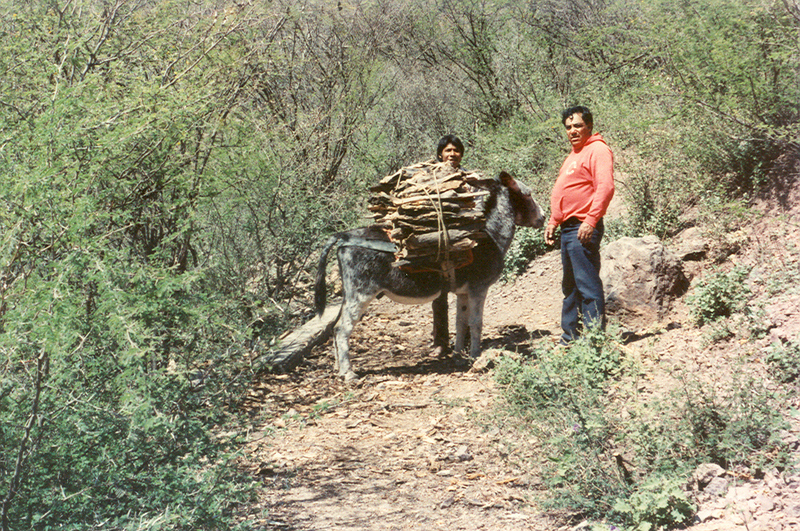 In the early 1990s, that pre-Daytona side trip took me into the Sierra Madre Occidental Mountains of western Mexico, the objective being to visit Barranca del Cobre (Copper Canyon). 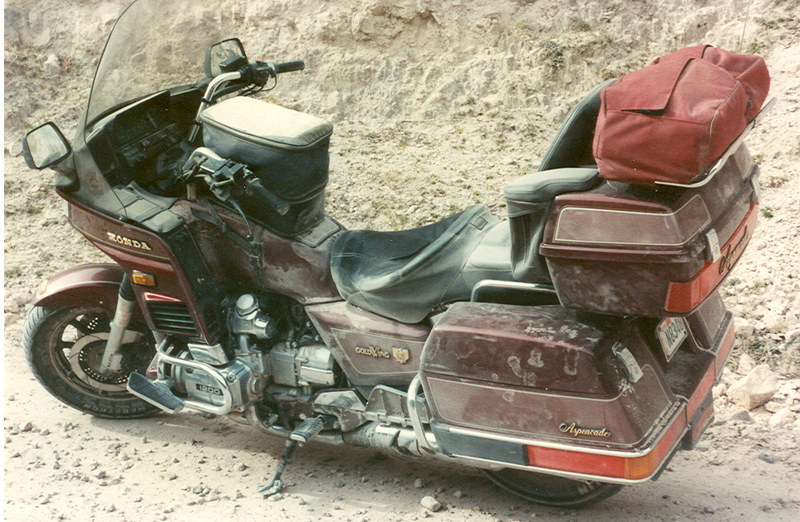 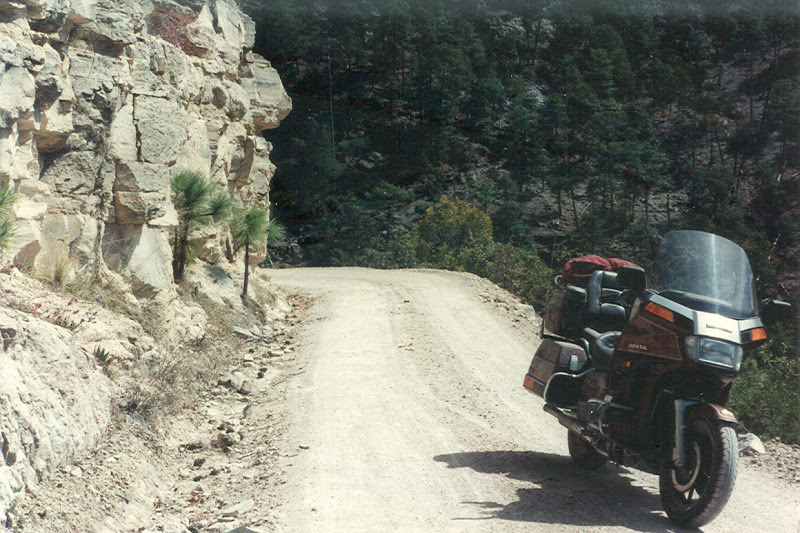 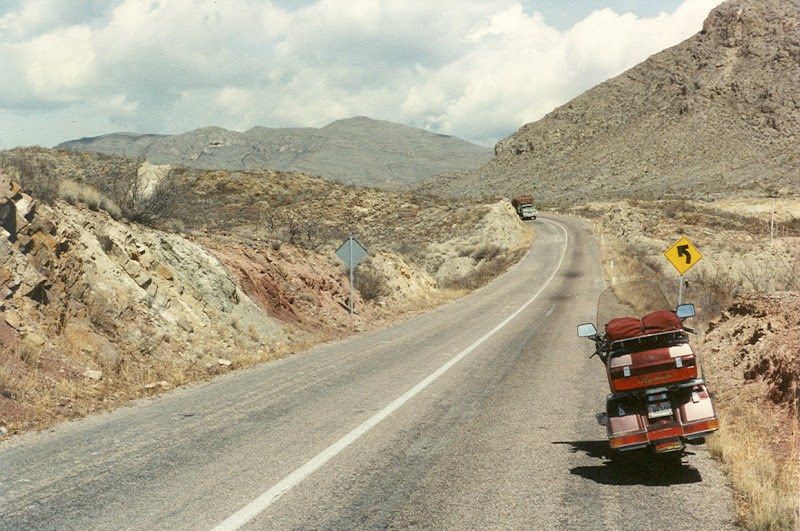 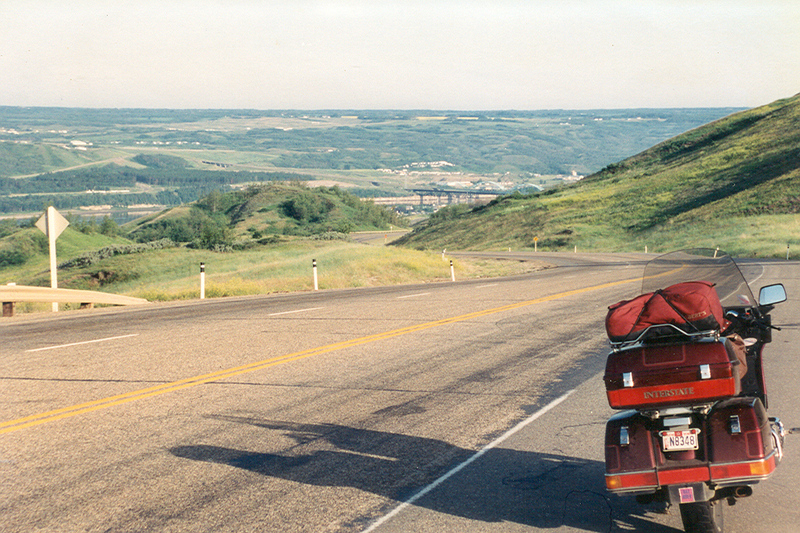 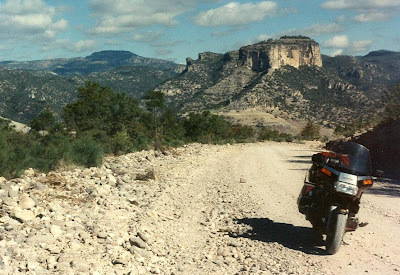 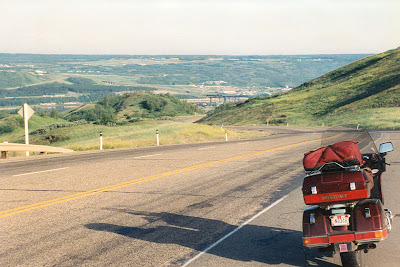 The full account of this extra-long ride to Florida is recorded in my book “Motorcycling Stories – From the Northwest Territories to the Yucatan Peninsula.” These are photos taken during that trip, with a brief description above a few of the photos. Clicking on a photo will enlarge it. 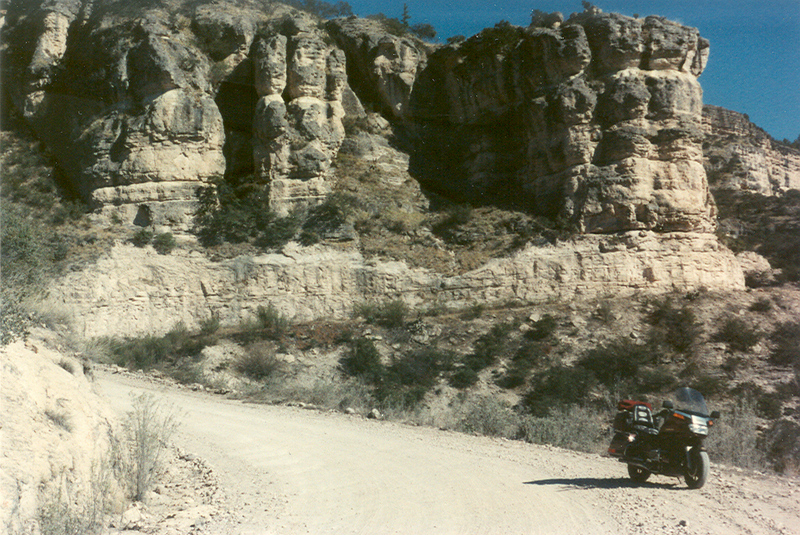 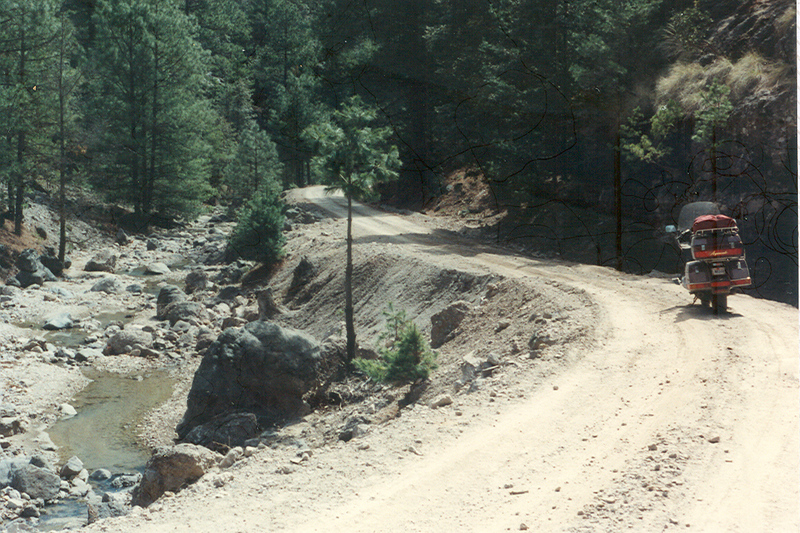 Along the gravel road between Creel and Basigochi – a distance of about 50 miles. 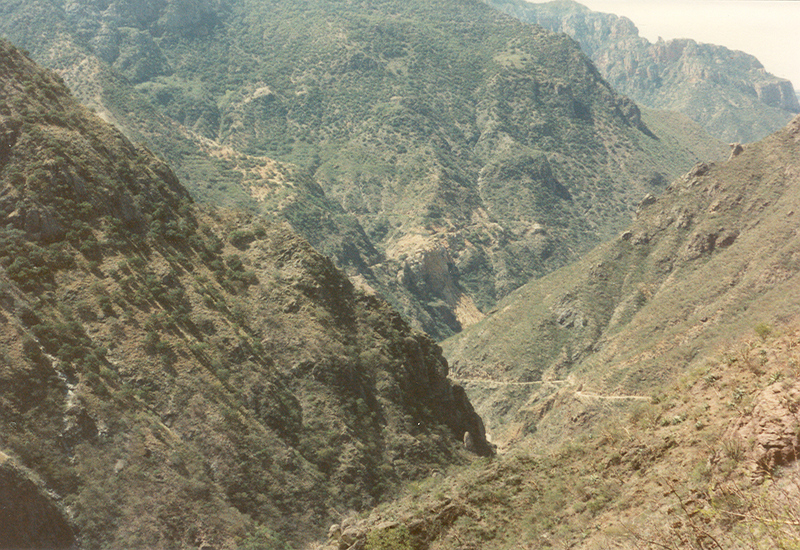 The kilometer post indicates the distance from Creel. 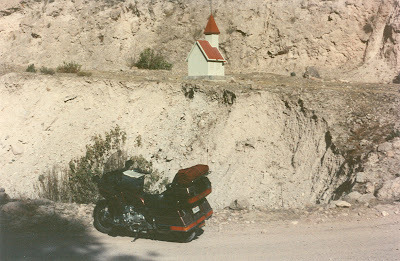 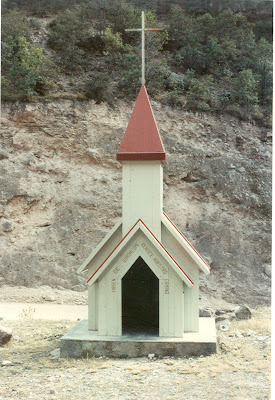 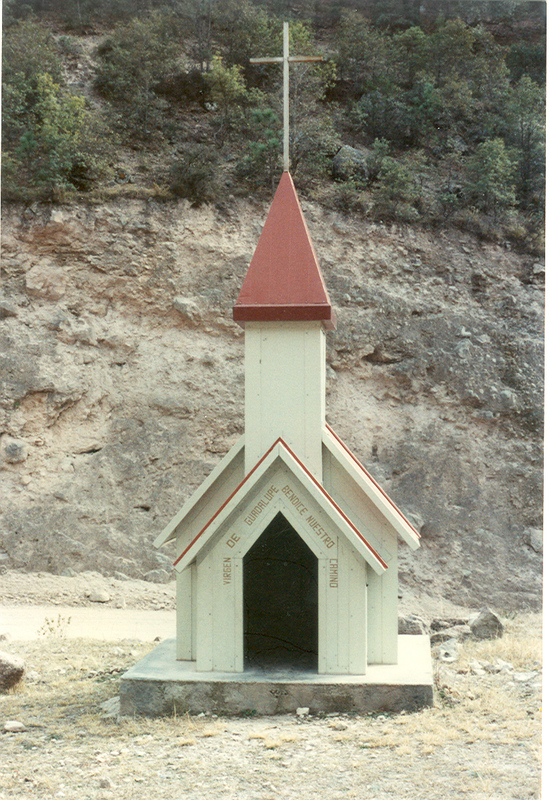 The tiny church was probably erected as a memorial to a traveler who lost his life here. Just beyond Kirare, at the start of a steep, narrow 8-mile drop into the canyon. 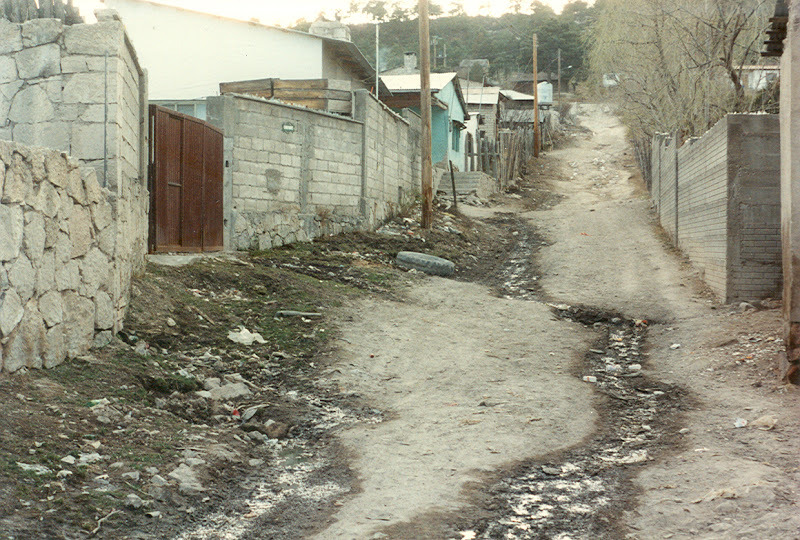 View of lower portions of the road. 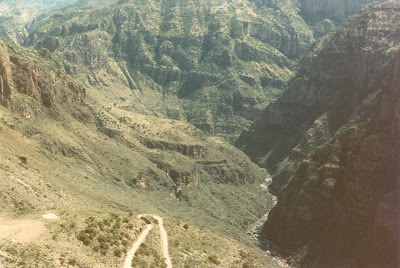 The foot of the canyon is finally in sight. 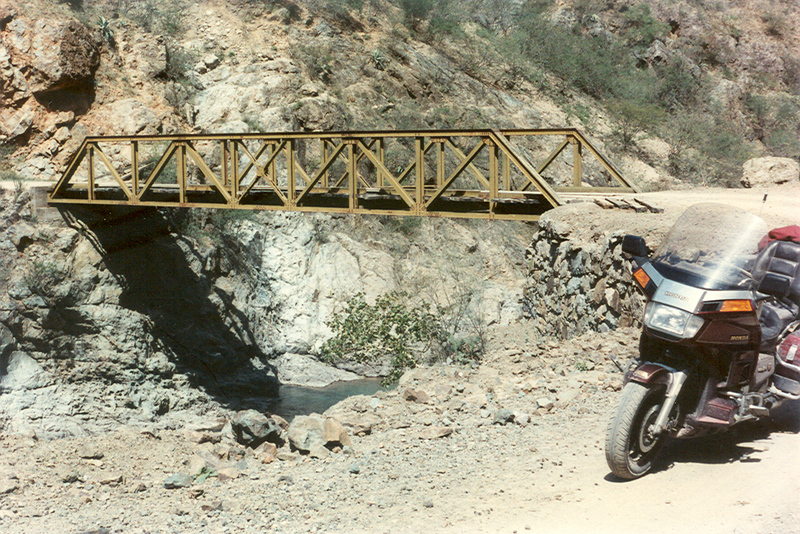 A tiny steel bridge across the Rio Urique. 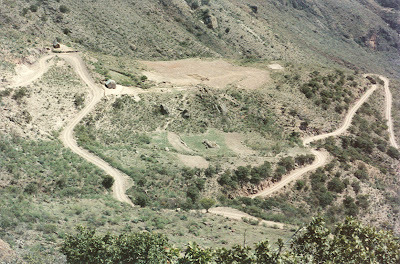 Scene of terraced farming on my 75-mile return trip to Creel. 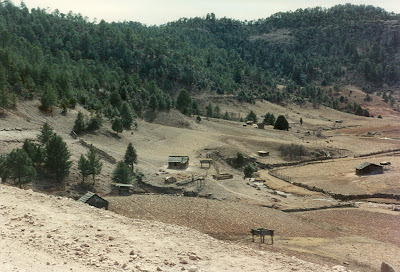 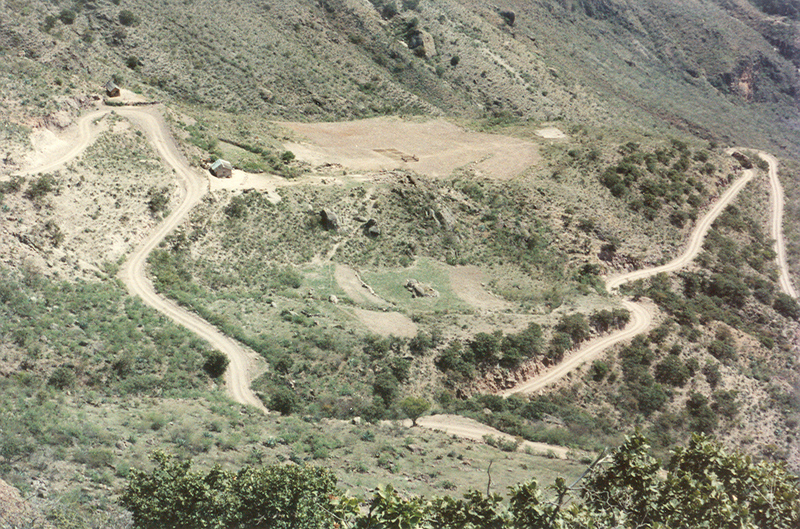 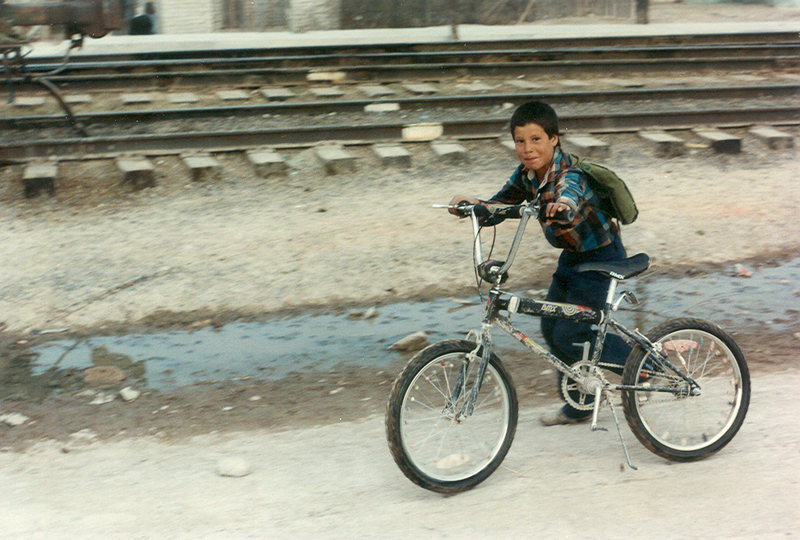 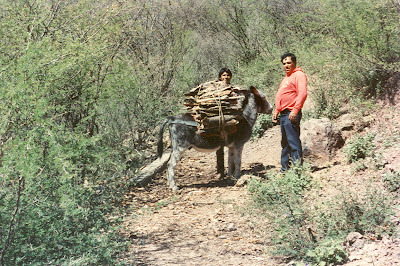 A tiny Tarahumara native village. 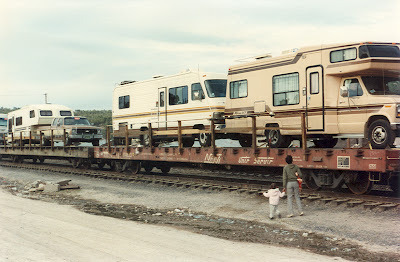 The sightseeing train from the US at Creel.